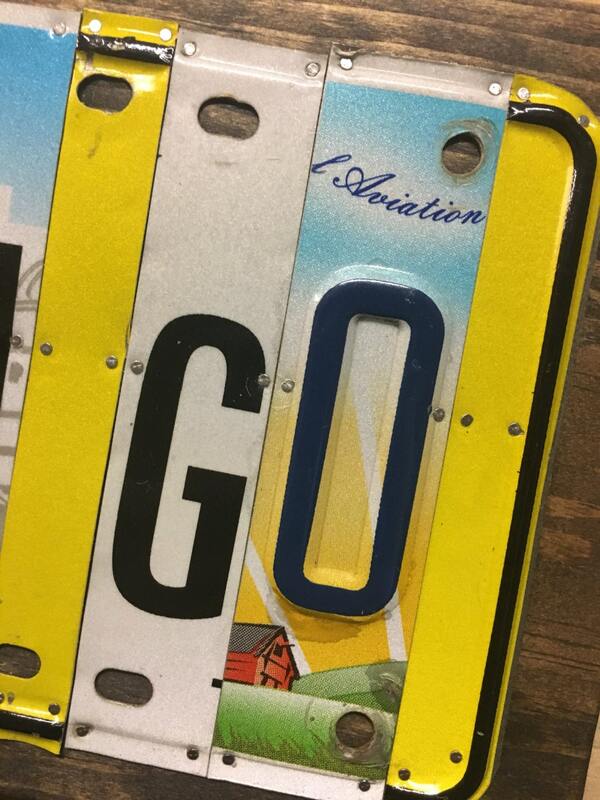 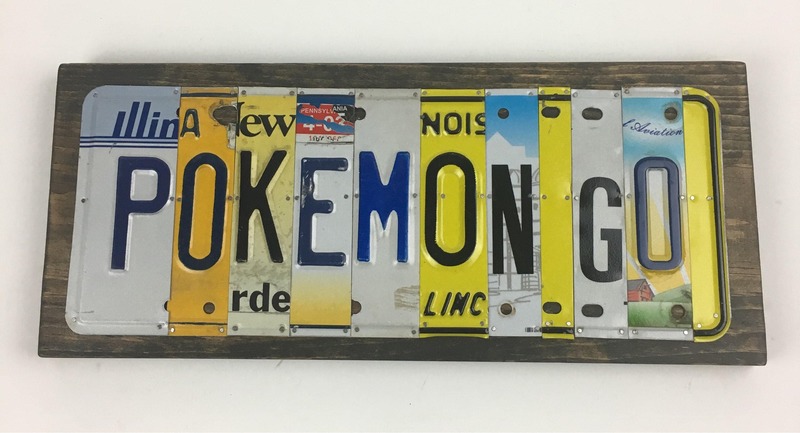 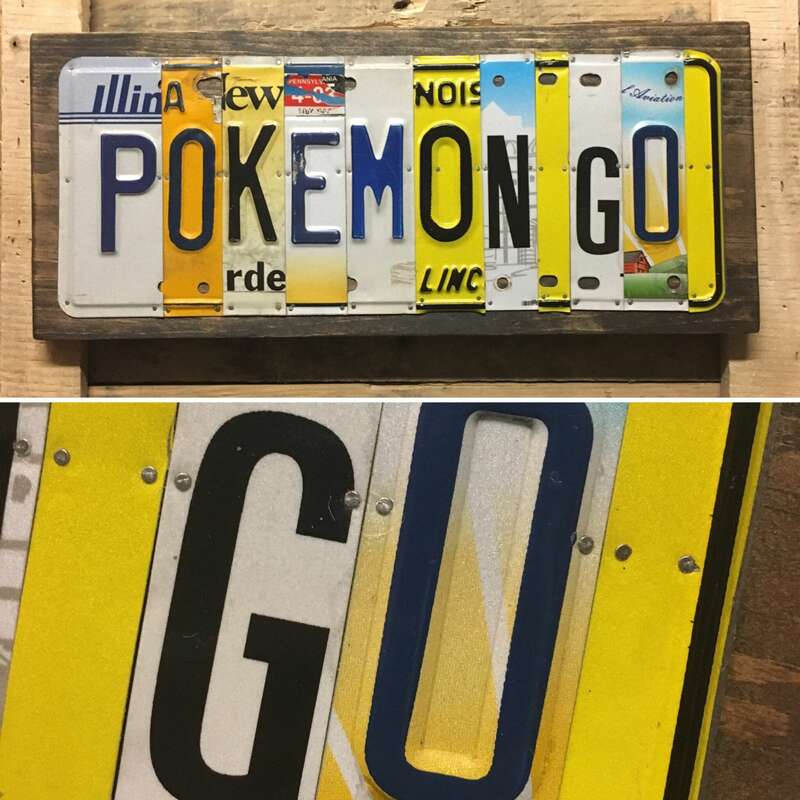 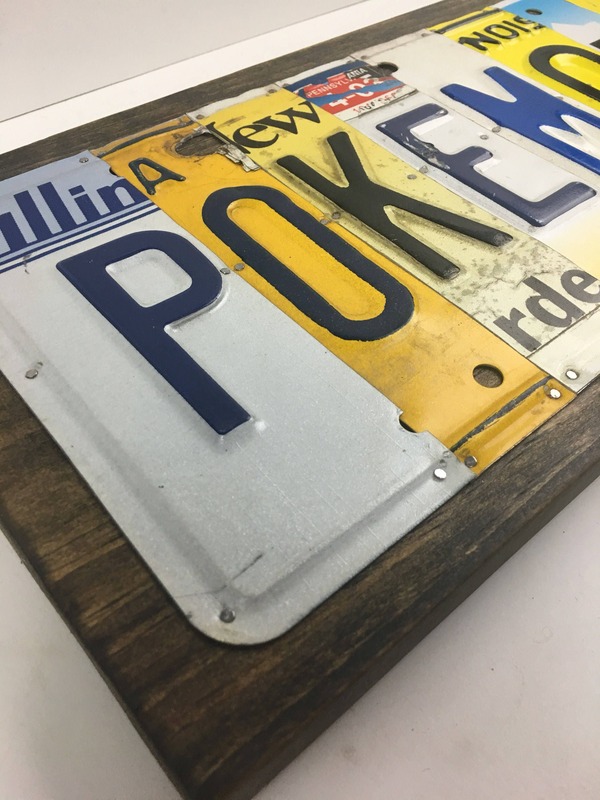 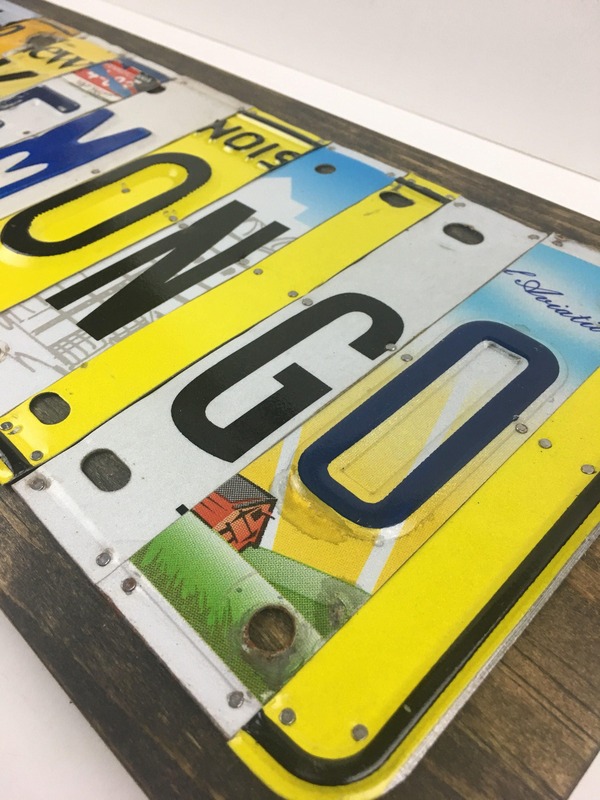 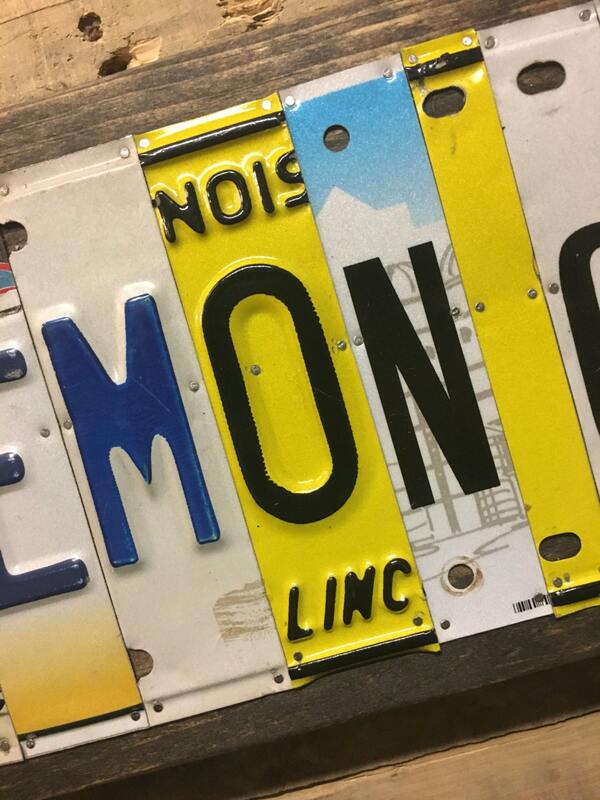 This Pokémon Go sign is made from license plate letters mounted on dark stained wood. 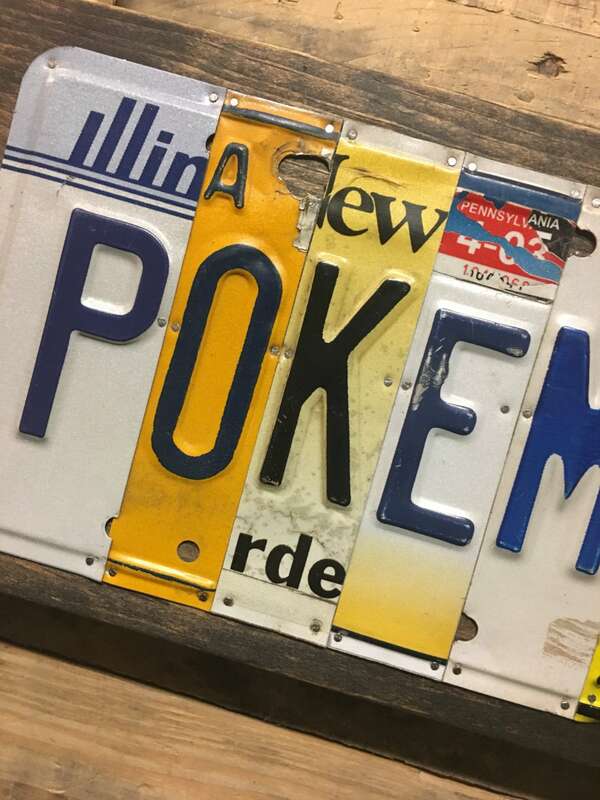 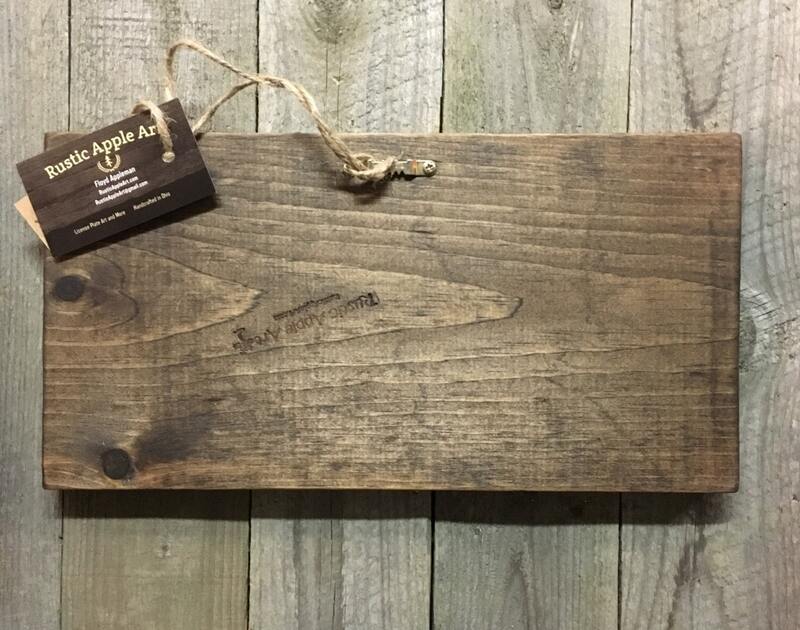 Free priority mail shipping is via USPS to US locations. 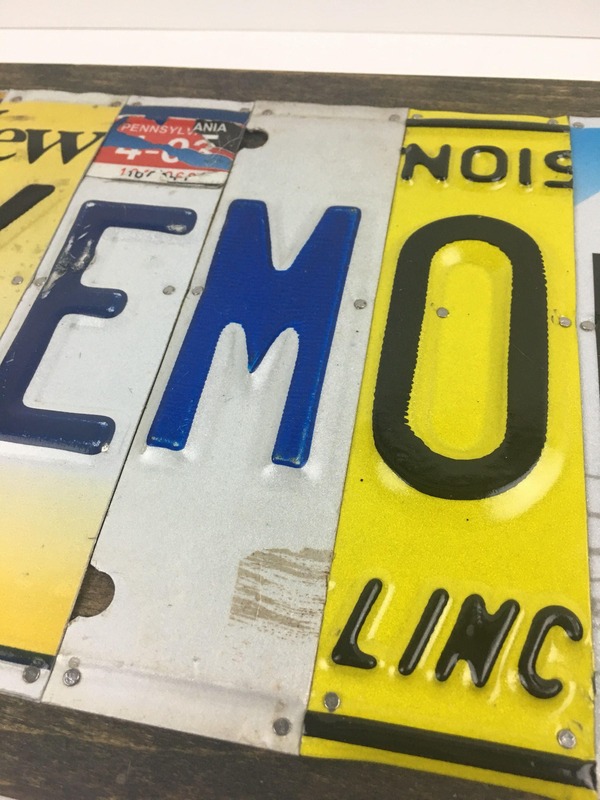 Contact me for international shipping quotes.